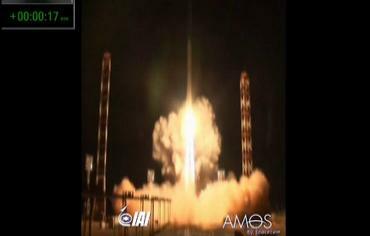 MOSCOW, September 1 - Russia has orbited an Israeli communications satellite, the Federal Space Agency reported Sunday. 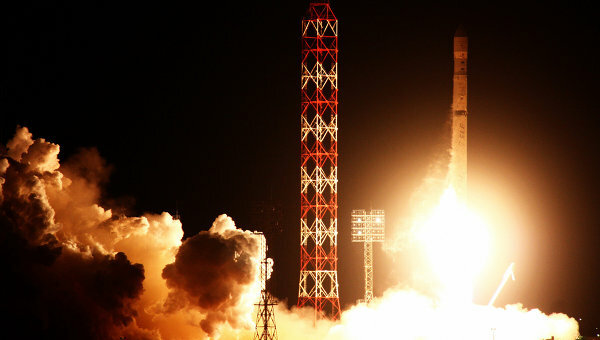 The comsat was launched with the help of a Zenit-2SB carrier rocket at 00:05 Moscow Time Sunday (20:05 GMT Saturday) from the Baikonur space center in Kazakhstan. 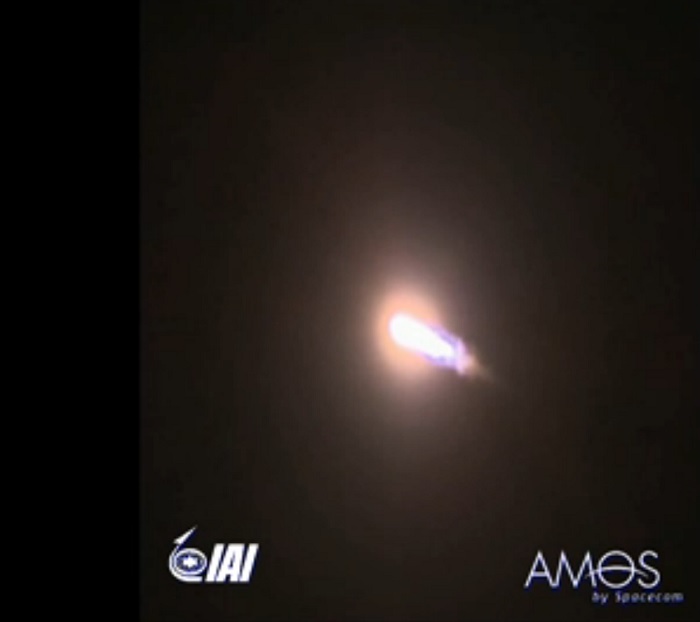 The Amos-4 satellite (Afro-Mediterranean Orbital System), manufactured by Israel Aerospace Industries Ltd., separated from the DM-SLB upper stage at 06:50 Moscow Time (02:50 GMT). It will provide DTH, VSAT and broadband Internet services to consumers in Russia, the Middle East, Southeast and Central Asia. 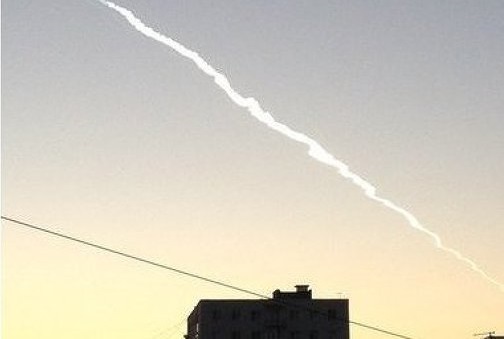 VLADIVOSTOK, September 1 – A fireball that lit up the sky over Vladivostok, in Russia’s Far East, on Sunday, was actually created by a Russian rocket stage, not a meteor event, a scientist said. The timing of the fireball reports coincided with the launch of the Zenit rocket from the Baikonur space center in Kazakhstan on Sunday, Russian astronomer Vladimir Surdin said. “The photos show that this was an artificial object. It was moving from the west to the east and was witnessed some 20 minutes after the launch,” scientist Surdin, from Stenberg Astronomical Institute in Moscow, said. Satellite joins Spacecom's Amos 2, Amos 3 and Amos 5; to provide services for Russia and the Middle East. 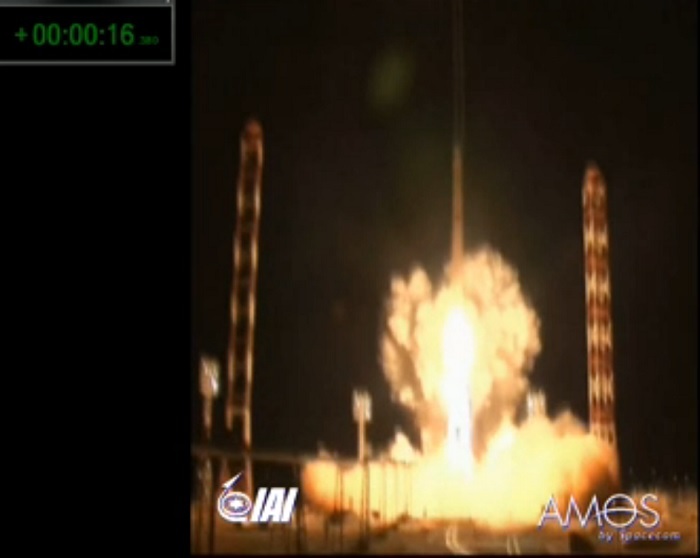 Israeli communications company Spacecom has successfully launched a state of the art satellite to space on Saturday night from the Zenit launching pad in Baikonur, Kazakhstan. 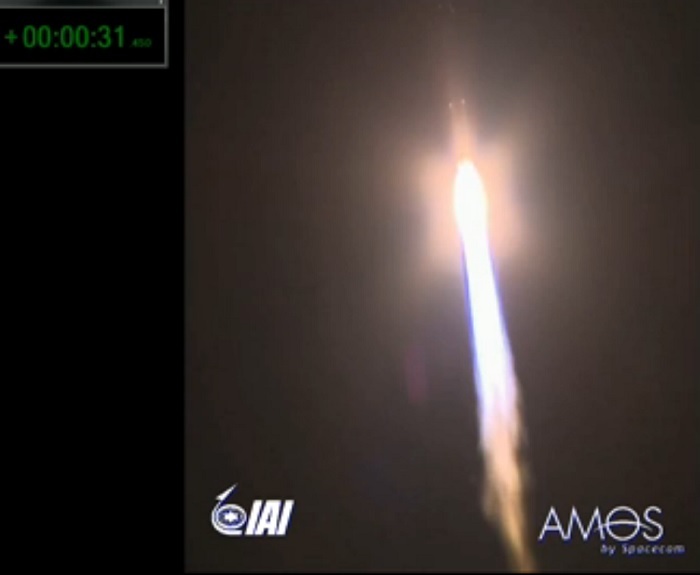 Amos 4, that was built by Israel Aerospace Industries, was launched at 11:05 p.m. Israel time. 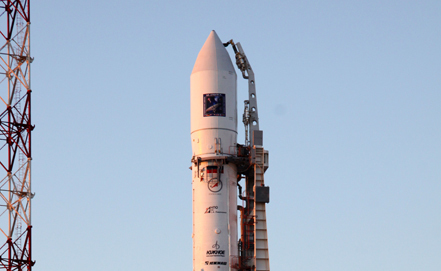 The launch is scheduled to end at the early hours of Sunday when the satellite disconnects from the final part of its launcher. Amos 4 will take two weeks to reach its designated orbital position 67.25°E at an altitude of 36,000 kilometers. The satellite will remain at that orbital position for several months and in orbit tests will be performed on its systems. Following these tests the satellite will move to orbital position 65°E where it will provide a full range of satellite services for Russia, the Middle East and additional service areas. The satellite will provide services such as Direct-to-Home, video distribution, VSAT communications and broadband internet, according to Spacecom's website. Science and Technology Minister Ya'akov Peri, who watched the satellite's launch from a secure location in Israel, expressed pride at the launch and stressed that space and cyber are "critical issues for the security of Israel." "The Israeli space agency is expending its activity substantially, and the launching of this satellite is another landmark in the course the state of Israel has set out on - entering the top five leading countries in the field," he said. "This is a true Israeli pride that proves to us, once more, that for Israeli technology - the sky is no longer the limit." Amos 4 joins Spacecom's Amos 2, Amos 3 and Amos 5 satellites. Amos 6 is scheduled for a 2014 launch. 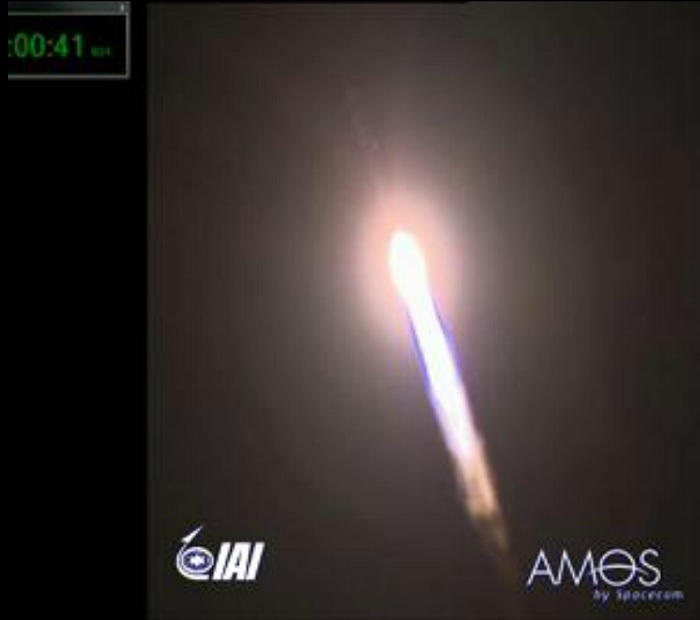 The Amos 4 communications satellite, built by Israel Aerospace Industries Ltd. (IAI) (TASE: ARSP.B1) for Spacecom Satellite Communications Ltd.(TASE:SCC), was launched at 11:05 pm Saturday, Israel time. The launch used a Russian Zenit rocket from the Baikonur Cosmodrome in Kazakhstan. The launch will be completed Sunday morning, when the satellite separates from the launcher's final stage. After the separation, the Amos 4 satellite will continue on its trajectory for two weeks to reach its designated orbital position at 67.25 degrees East at an altitude of 36,000 kilometers. The satellite will operate at this node for several months, during which in-orbit tests will be conducted. Afterwards, it will move to its orbital position at 65 degrees East where it will operate commercially. 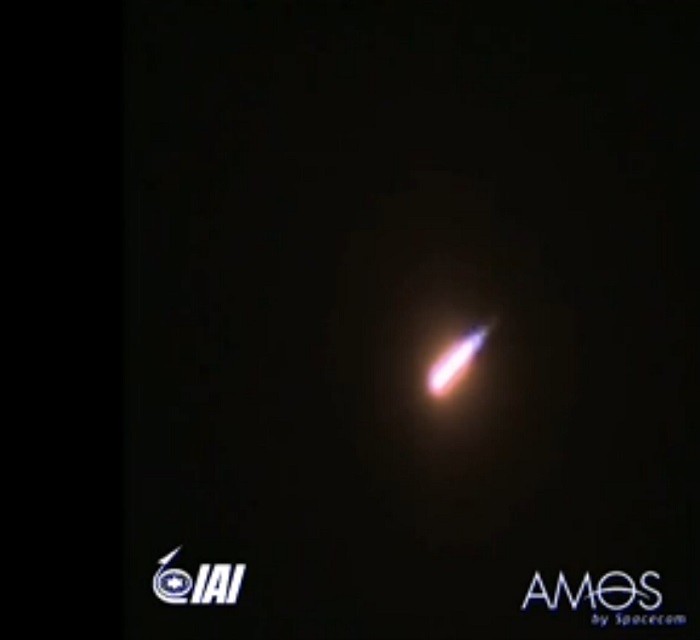 Spacecom CEO David Pollack said, "The company congratulates IAI for the achievement in building the Amos 4. With the Amos 4, Spacecom continues its rapid expansion to new continents and large markets, becoming a regional international player for the provision of satellite communications services in the global market." IAI CEO Joseph Weiss said, "The Amos 4 is at the forefront of technology, on a level with the world's leading satellite communications. This is an impressive achievement for IAI, which is the leader and chief contractor for all of Israel's satellite programs. The development and manufacture of the satellite by IAI's skilled and dedicated employees is an exceptional achievement for us in aerospace." Minister of Science and Technology Yaakov Perry, who watched the launch of the Amos 4 from a secure facility in central Israel together with Israeli aerospace industry officials, said, "In the digital and satellite eras, aerospace and cyber are critical issues for Israel's security. This is a source of true pride for Israel. It once again demonstrates that for Israeli technology, the skies are no longer the limit." Perry added, "The Israel Space Agency is greatly expanding its activity, and the launch of the satellite is another milestone on the path that Israel has embarked on - joining the five leading countries in aerospace."